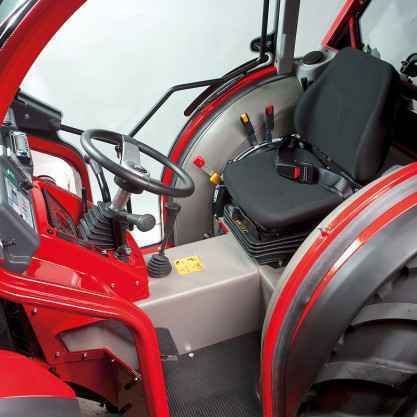 TGF is the Antonio Carraro super-low profile tractor with unequal wheels, designed to work nimbly within narrow gaps performing extremely tight turnings. It is the ideal tractor to work in the thickest orchards, in tendone vineyards, greenhouses and steep slopes. Powerful and compact, TGFguarantees outstanding performance in every kind of ground. 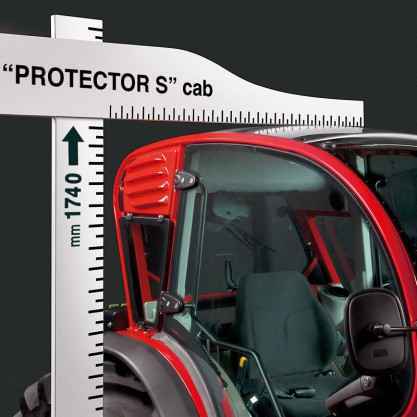 In order to support every customer’s specific needs, TGF offers many possibilities of personalization, with several tires sets and two different cabs: the traditional Starlight cab or the pressurized Protector 100 cab, the first compact cab with Class 4 pressurization, which certifies the highest level of insulation from harmful elements during plant protection treatments..
TGF is available in 2 versions with Kubota 4 cylinders turbo engine: TGF 9900 (89 hp) e TGF 10900 (99 hp).